Perfumes: The Guide is a landmark. It is the only book of its kind, and I adore the vast majority of its 1,800 amusing, often poetic perfume reviews. But every work (except for Star Trek V) has its flaws, and Perfume’s greatest is its Mona di Orio reviews. (YEAH I SAID V WANNA FIGHT ABOUT IT NO OTHER STAR TREK FILM HUMANIZES MCCOY TO THE SAME EXTENT) Luca Turin’s criticism of Mona’s perfumes was bizarrely and cruelly personal. I refer to the following humorless swipe at Mona’s appearance: “Di Orio describes herself in her press materials as a ‘living Modigliani’, which, desirable or not, is clearly delusional.” (The weird part is that Mona di Orio actually did look quite a bit like Modigliani’s female subjects, which have similarly thin faces and dramatic noses.) I don’t care if Mona di Orio stood up Luca Turin’s favorite grandmother at the goddamn altar- it’s unbelievably inappropriate to disparage a perfumer’s physical appearance, which is entirely irrelevant to their work. These reviews seem even more callous in light of Mona di Orio’s unexpected death at the age of 42 in 2011. I haven’t tried any of Mona di Orio’s earlier work. I have no idea if her first perfumes were as “hilariously bad” as Turin claims. I can only say that Vanille is very good. Vanille smells like boozy vanilla extract and cigarette smoke, with the emphasis on the smoke rather than the booze. 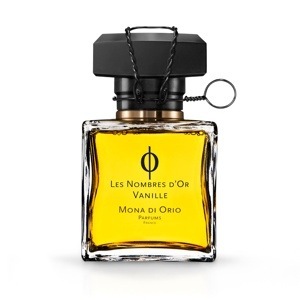 This is a common enough perfume archetype, but I find Vanille unusually restrained for its genre. It is darker than L’Artisan Havana Vanille, and quieter than Guerlain Spirituese Double Vanille. The closest parallel I can draw is to MAC MV3, a fabulous and tragically discontinued leather vanilla. Vanille is better than beautiful- it’s mysterious, intriguing without being provocative. Highly recommended to those who prefer their vanillas dark. I’m going to be honest and say I’ve never read Perfumes: The Guide, nor do I have any real desire to b/c everything I’ve seen from the authors’ interactions with others is kind of needlessly snarky. And yeah … not feeling it. Attacks against someone’s appearance are something that I don’t tolerate. Even if I don’t like someone or their views or whatever, attacking appearance is such a catty, petty thing to do. There’s a difference between good snarky and being a Catch You Next Tuesday. That said, I want to try this perfume now. A boozy, smokey vanilla. Sounds gorgeous. Makes me think of a Speakeasy. The speakeasy association is spot-on. It reminds me strongly of a beautiful woman in an elegant bar with 1920’s architecture! Way too scared to try these because I feel it may be love. That’s exactly how I feel about Amouage, Portia! I rue the day I tried Interlude Man. But the Mona di Orio line is actually less expensive than Amouage or By Kilian- $230 for 100 ml instead of only 50. I too felt that Turin’s swipes at Mona were bizarre and cruel and totally uncalled for. The two obviously had some differences of opinion and Turin was holding a grudge against her. But I don’t read his comment as a swipe at her physical appearance, nor do I take her likening herself to Modigliani as a comparison based on physical appearance, but rather based on artistic skill – Mona seemed to feel she had the ability to capture imagery in perfumery on the same par as Modigliani. And Turin seemed to feel, at least as I read it, that her opinion of her creative prowess was delusional. But again, that’s just how I read it. I have both copies of the guide and I’ve pondered the remarkable meanness of his reviews of her works. In my mind, his bias is so obvious that it’s yet another instance of personal attitude devaluing the content of what should be a fair critique. Bryan, thank you very much for pointing out this possible other meaning- it really hadn’t occurred to me before. What makes the line ambiguous for me is the phrase “whether desirable or not”, since you would think that having a famous painter’s talent would automatically be desirable. I hope you are right, as your interpretation would be much more respectful (if still a bit harsh). Thank you for the information on her earlier fragrances, Meg! I strongly suspected that they couldn’t be as bad as all that. Which one was your favorite? I tried all of Mona’s perfumes, and I own her Vetyver and samples of others, one being Vanilla. I know experts who love her creations, but I dislike all of them, except for Vanilla, which is a perfectly balanced masterpiece. The vanilla is not too sweet (and that’s a real exception in similarly themed perfumes) and the rum is perfectly dosed. The news of her untimely death shocked me, and I bought her Vetyver on the spur of the moment, after smelling it on a strip, but I realized later that I only like its head notes. Later on, it turns in some sort of air freshener. I know that Turin has been particularly harsh with her, but sadly I agree with his reviews of her perfumes. Of course he wrote them when she was still alive, and no one could expect her to pass way at such a young age. Probably he’s not happy for what he wrote about her. Thank you for your honest perspective on the MdO line, Rob. I definitely wasn’t planning to seek out Vetyver, but I am still interested in Cuir- did you have a chance to try that one? Trying to be a good perfumista I bought The Guide and even read everything… until the first review. I realized that I didn’t care at all what the authors think about perfumes that I liked and I didn’t want to know their opinion about perfumes I planned to try eventually not to be influenced by it. From time to time I look up one-two perfumes out of curiosity, usually those that I was OK with or disliked. I’m a moderate to weak vanilla fan but MdO’s Vanille is one of those that I like. You inspired me to chose Vanille as my SOTD! It’s lovely and my favorite MdO, the only one I’ve been tempted to get a FB of. It reminds me of when we read “Treasure Island” at home when I was a child- all those pirates and rum! What a fabulous association! I like Vanille’s rum note very much. That was a terribly pissy comment and unprofessional on the part of LT. And, as you pointed out, if you ever saw a photo of Mona, comparing her to a Modigliani-esque woman is not far off! Her vanilla is one of my favorites. Thanks for the great review! My pleasure, baconbiscuit! I’m so glad you enjoyed it! Mona was indeed a very striking woman. I own Oiro and Nuit Noire from her earlier work and in no way think they deserve the awful treatment LT gave them in the Guide. I also own Vanille which is one of my all time favorite vanilla scents since it is so not gourmand as you would expect from something called vanilla. Thanks for a lovely review and for standing up for Mona! I have many different feelings on this subject…. 1) I agree with Bryan Ross, above: I don’t feel LT was commenting on MDO physical apearance. He clearly despised her work, though, and was very straightforward on this point – in the same way as he was merciless with most creed fragrances. 2) I liked MDO very much, not that I had ever spoken to her, but her intelligent expression and elegance drew me in. I appreciated that she was a woman carving her way in a male-dominated business. I wanted to love her perfumes. 3) I am no expert, and I smelled the earlier and later work of MDO. I’ll mention here “the most expensive lemon sherbet on earth” – Lux. A lemony Shalimaresque fragrance, with a strange, dull flatness to it. Jabu, a very nice almond-y orange blossom, also totally lacked lift. They both seemed to need some technical improvements, but as I say, I am no expert. The later MDO’s are completely different perfumes – they strive along the lines of many niche offerings. With a very high price point. 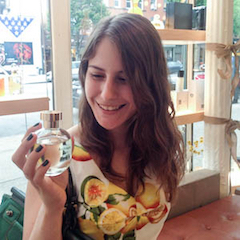 5) Yet: she was a perfumer, selling perfumes. She sold them at a very high price point. Her most expensive fragrance, Oud, is sold at 525$ per 100 ml edp intense on luckyscent. So, she was playing the game. Part of the game is that there might be critisim and failure – and you have to accept it, or just stop playing. Many have accused LT of making the life of an indipendent perfumer harder than what it might be already. But she wasn’t the obscure indipendent and naif artist (she was distributed in elegant and exclusive stores, and she insisted in a “Roudnitska legacy” of sorts in her marketing material. She drew analogies between herself and great artists. She was making business in a harsh industry and was playing every trick in the box, “oud band wagon” included. And she was right to do so). I have always felt that if LT’s reviews didn’t help her business (even though: how many of us “Perfumes the Guide” readers didn’t feel a spontaneous surge of sympathy towards MDO upon reading LT’s merciless comments? ), my personal feeling is that the greatest damage to her business was due to a narrow sighted policy carried by the brand itself: a never-ever-updated web site, with extremely poor content. No “buying” section of course. No sample programs. And in store: no samples, ever. 6) My comment is way too long. So I wont dwelve in perfume criticism. But I want to declare my appreciation for the book “perfumes the guide”: it was and is a unique attempt to intelligent perfume talk. I don’t always agree with the authors, but it is a reference book, no matter what. Ari – You’ve certainly opened up a thought provoking topic! My very first perfumista purchase was a big box of mixed niche samples and decants from evilbay. 75% of it turned out to be ‘not for me’, so I used the purchase to build my swap library and get stuff that I wanted. MdO Lux was in there, and though it wasn’t for me, I never listed it for swap. I always felt that her perfumes were the sort of thing that I would grow into one day (but sadly, I haven’t). It smelled elegant and complex … but the density is just too much for me. You describe her Vanille as being lighter the SdV but my g-d, there’s something in her perfumes that is very *heavy* and dense.I almost wonder if I am hyper-nosmic to her compositions… It’s like picking up a 10 pound Hermes scarf: beautiful, refined, detailed but too heavy for everyday wear. Gville, I’ve kept my sample of Frederic Malle Le Parfum de Therese for years now in the hopes that I will someday grow into it, too! I’m doing that too with LPdT. I feel a tad unsophisticated for not swooning over it! Thank you for the way too long comment, Zazie! You have a great point- MdO used every trick in the niche perfumery handbook, and some of them were bound to irritate. I’m not sure what her prices were like in 2008 when The Guide was written, but these days MdO scents are actually a relative bargain compared to many niche brands (for example, the most recent By Kilians are $245 for 50 ml, while MdO scents are $230 for 100 ml). The MdO website also seems much improved, thank goodness- it now has a buying section, a discovery set, and even travel sprays. It’s quite possible that Turin’s harsh reviews actually pushed the brand in a positive direction! My pleasure, Sujaan! I hope that you get to try it soon! Luckyscent has samples, of course, and both they and Parfum1 have an adorable discovery set. Well I really liked Oiro, and think that it has similarities to Ineke Ruhland’s Gilded Lily, and to Coty’s Les Muses, which are both pretty good. Thinking about Ms. di Orio, I’d say that she really liked animalics and that’s a genre that can get right up some people’s noses. Personally, I enjoy animalics, but they’re difficult, as opposed to say, fruity florals. As to the Turin comments on di Orio, they were rude. Turin’s first guide in French was pure poetry, and was the catalyst that brought us all writing about perfume today. Seriously, it was dazzling and inspiring. Then he got bitter and disillusioned and incredibly opinionated…..